Many of us want to go back to school, but the thought of going back to school as a mom is terrifying. What if I can’t handle it? What if I waste money just to fail? What if I’m away from my kids too much? But then there are the other what if’s… what if going back to school can change our lives? What if going back to school can help me finally land the career of my dreams? What if going back to school can help me provide for my family? The secret for moms going back to college is organization. You have to organize your life in order to make going back to school fit in to your already hectic schedule. Take online classes whenever you can. That way you save the commute time and you can watch your lectures online, when you have time. You can even pause the classes and come back to them when you are able, if something were to come up. Most colleges offer online courses now, so just be sure to select a school that does. 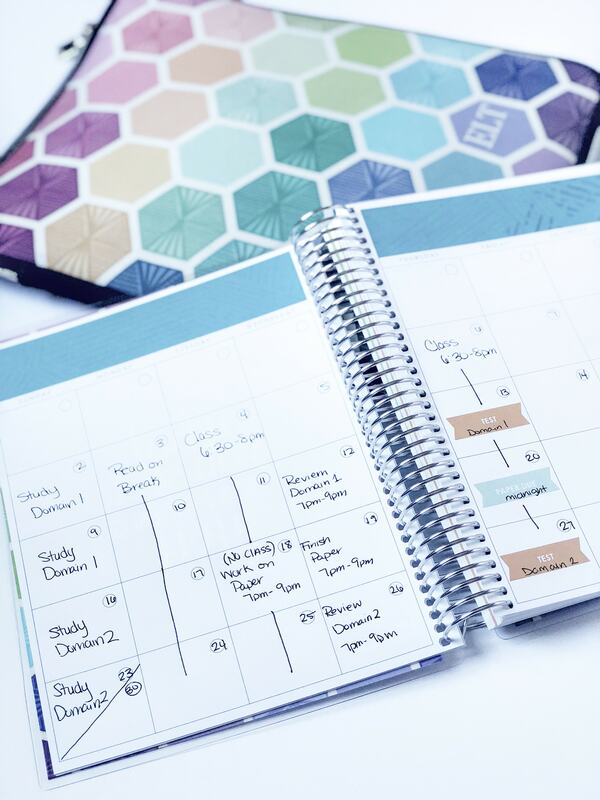 Get an academic planner that is specifically for school. Do not add anything else in to that planner, only school stuff. 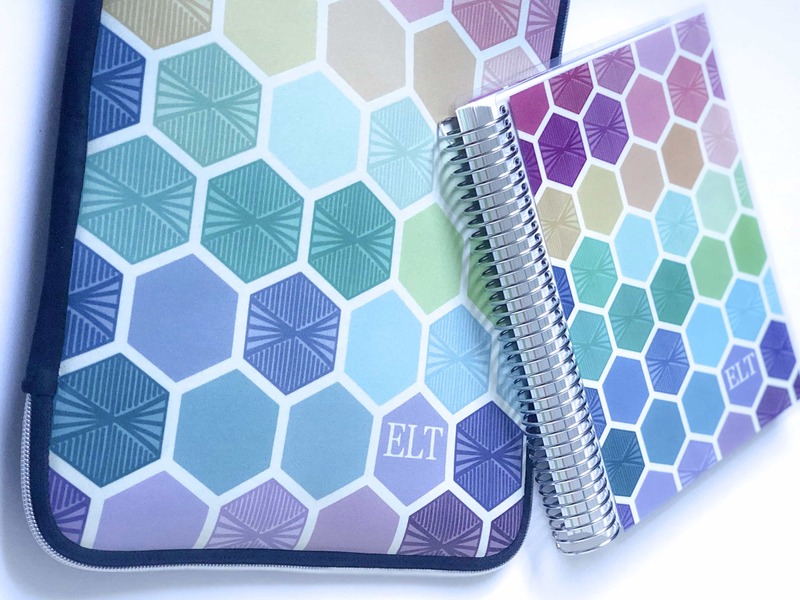 I use the Erin Condren Academic Planner for school stuff and the Erin Condren Life Planner for personal stuff. 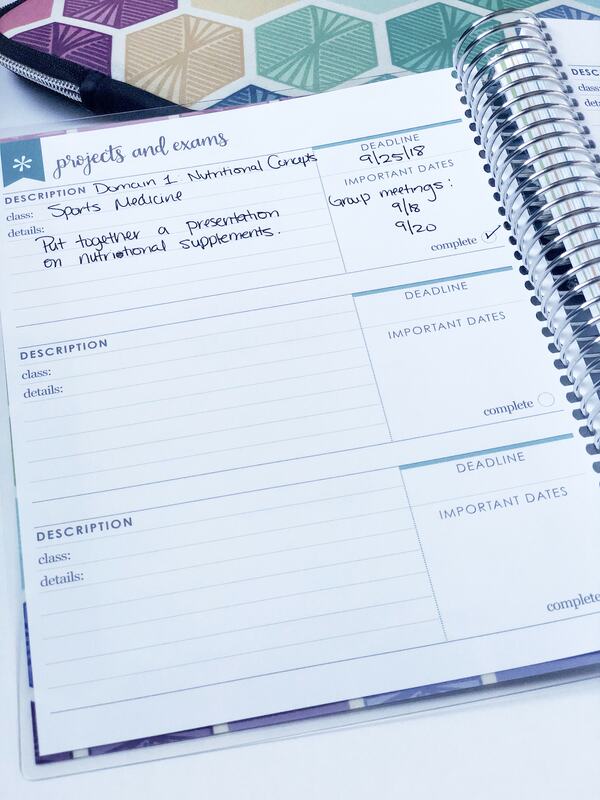 On the monthly pages of your academic planner, write down all of your lectures, due dates, exam dates, etc. This will all be laid out on your syllabus so just make sure you transfer it to your planner right away. 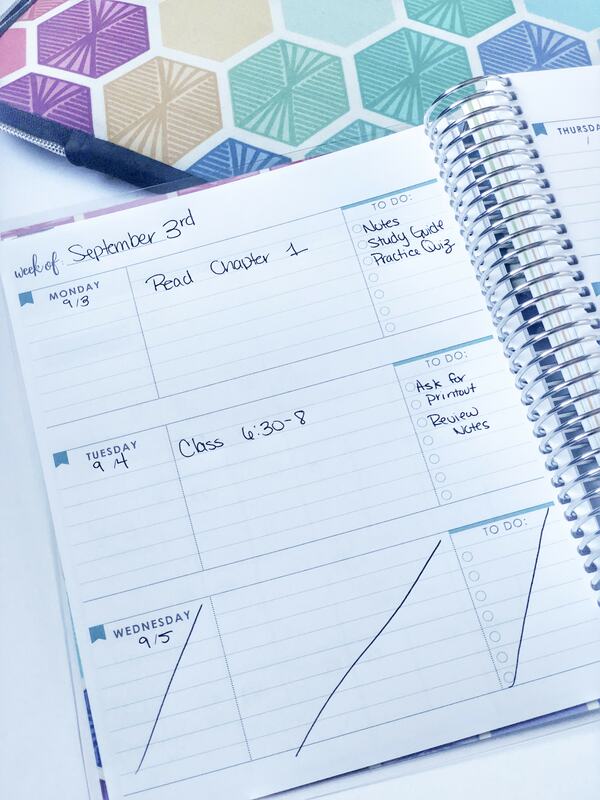 Then look at your personal planner and see what free time you have (for me it’s when the kids are sleeping) so that you can time block. 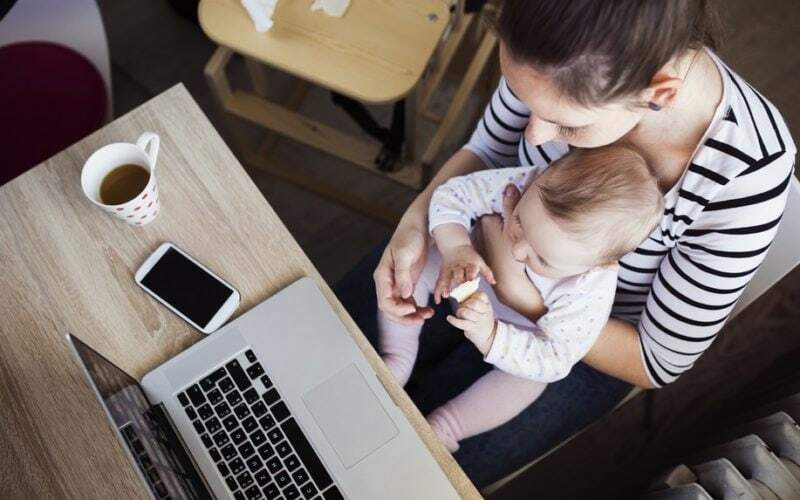 Now you’ll know what extra time you have to dedicate to school work without interfering with your family time, work or kid’s activities. During those hours you have to just focus on your school work- nothing else. Set a timer. When you sit down to work on school stuff, set a timer for the time your time block ends. Until that timer goes off, know that you cannot do anything other than school work and let your family know as well. Keep your school stuff together and make sure you only have school stuff in there to avoid distractions. 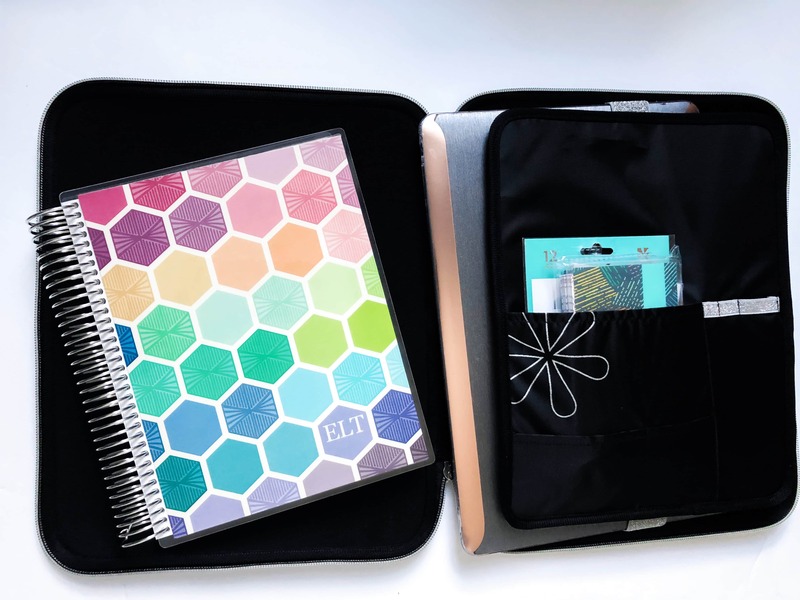 I love this Planner Folio by Erin Condren because it can hold all of my study materials AND my laptop! Whenever I know it’s time to study, I grab this and zone out. Something about having it all in one place with no extra things makes it so much easier to focus. If you can afford it, buy a cheap laptop or tablet JUST for school. That way you wont be tempted to open up Facebook in another tab or start looking through old videos. Once you finish school, you can give it to one of your kids so it’s not a waste. Take a breather. Don’t overdo it. You still need to find time for yourself and time to relax. That’s why it’s so important to time block. You’ll know what hours to dedicated to school and will remain laser focused during those times. But when that time block is up, you can relax and focus on yourself. If you overdo it and spend too much time on school, you will give it up. The main thing to know is that you can absolutely do it! You just need to get organized and focused. Time may be tight for a few years, but if it’s something you truly want you will never regret it- you will only regret not going it.